Weekly Specials this week from Stevens, Beretta, Sig, Diamondback, Taurus, Kel-tec, Remington, and this Colt Night Cobra. 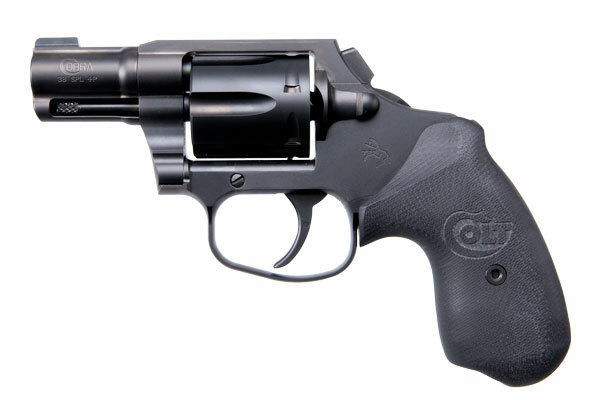 The Colt Cobra is now available in a carry-ready format. Matte black DLC (Diamond-Like Carbon) coating over Stainless Steel frame ensures maximum corrosion resistance and ultimate concealability. Double Action Only configuration retains the smooth trigger pull with a snag-free bobbed hammer design. Custom Colt G10 Grips provide a smooth drag free grip that won’t hang up on clothing or cover garments. The Cobra is chambered in .38 Special and is +P capable. The Night Cobra features a front night sight and rear frame trench sight. This firearm was designed to meet the needs of new shooters and seasoned professionals alike. It's easy and enjoyable to shoot, easy to carry, and draws from the fine lineage that make Colt revolvers special.